The Noon VR headset is ideal for those who are looking for a serious upgrade from their existing entry-level virtual reality equipment. While it’s not geared toward gamers, Noon’s offering has a number of special features like intuitive eyesight control that make it well-suited for 3D movies. 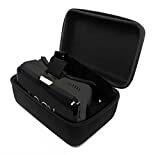 If you want to buy a Noon VR headset, note that it is easily available for an affordable price (less than 50 dollars), and you can even use it to convert existing 2D clips to share with your new virtual world. In this Noon VR Headset review, we took a better look at this slightly unusual VR headset to see the full depth of what it had to offer potential buyers. Noon equips all of their VR goggles with a revolutionary new type of lens (anti-blue light lenses) that relieves visual fatigue. The manufacturer also claims that they resist scratches, which is good news for anyone who has a tough time loading their phone into the dock. Many users love that they can use the included software to stream their PC screens right to their goggles. This is actually one of the few gaming applications where the Noon VR gear actually bests the competition. Some users have also started to use this streaming connection instead of a plug-in PC VR solution. They simply sync their phones with their screen, and use the Noon headset like it was physically attached to their desktop or laptop computer. It seems to work equally well with applications on Windows and OS X. Our Noon VR headset review would not be complete without an overview of the pros and cons of this device. Check out below its strengths and weaknesses. It boasts an excellent futuristic-looking design. The lenses resist scratches and dirt while also cutting down on visual fatigue. The VR headset features a front touchscreen to make physical buttons a thing of the past. 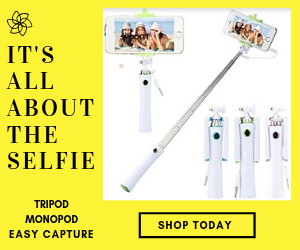 It fits a wide range of phones. It lets users convert existing clips to 3D video. Sleek design that is very comfortable. It doesn’t come with any support for phones running Microsoft Windows. It will only support a limited number of devices per individual headset. The company offers little to no support for PC users who want to stream content from Linux desktop environments. This section of our Noon VR headset review details the compatibility and technical requirements of the device. Noon requires users to authenticate their headset before using the official app. You’ll find the Noon VR headset activation code on the back of the printed manual included in the box, on the right side of the headset (Noon VR+), or on the bottom of the headset (Noon VR Pro). Since Noon doesn’t use any of Google’s open platforms, the headset design is completely exclusive. You’ll need to install the official Android or iOS app to interface your headset with your phone, which needs to be at least 4.7 inches and up to 5.7 inches to fit the dock. A single code can sync your phone with up to five different devices. 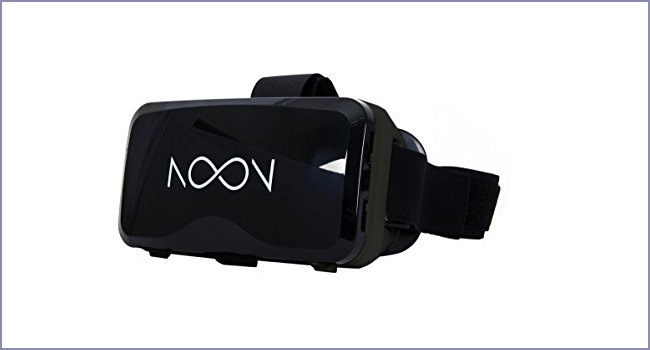 The Noon VR headset is compatible with both Android and iOS devices with screen sizes between 4.7 and 5.7 inches (iPhone 4, iPhone 5, iPhone 5S, iPhone 6, Samsung S4, Samsung S5, Samsung S6, and more). The intuitive TAP UX technology eliminates the need for a controller. The multi-device streaming allows you to connect up to 3 devices on the same network to share viewing with your friends. Due to the Noon VR Streaming, you will be able to access the videos and files from your computer to your smartphone via Wi-Fi. All of Noon’s products use a patented tap sensor instead of a Bluetooth remote or discrete controls. The software will feed you a menu when you first start VR mode, and you can tap on the sensitivity setting option to set the controls where you’d like them. You can calibrate the device sensor from this screen as well, though you’ll be given the option to do it at a later date as well. The lenses focus themselves well without outside input, but this menu provides the option for you to do it manually if you had any sort of issue. This section of our Noon VR headset review will guide you on how to set up the device. The smartphone dock in the front of the goggles opens up with a single touch, and it’s easy to close once you’ve loaded your phone inside. Take a moment to position the straps, so that the headset feels comfortable. As soon as you have, you can tap the front of your Noon VR device to pop open a menu screen. As well as the previously mentioned sensitivity options, you’ll get the opportunity to set subtitle and screen orientation display settings. Take your settings out for a test drive by hovering the cursor over the [Play] button. You’ll soon see a cartoon of a mountain stream as part of a demonstration. The Noon VR is one of the few products on the market that officially allows users to stream content remotely from a connected PC. This sets it apart from other competing units that focus only on amplifying HD content screened on an individual phone. While you can usually view videos streamed over from another device through VR goggles, Noon offers apps to give users streaming content in this way the same experience they would get when watching movies through any other app. This is great for those who want to buy goggles for the whole family and have everyone watch the same content. The Noon VR headset app – Noon VR 360 Video Player – is available for Android devices in Google Play and in iTunes for iOS devices. The app has many cool features such as video conversion, a wide collection of VR content, tap functionalities, and more. The Noon VR headset is equipped with high-quality stereo headphones to give you the best theatre-like experience. Adjustable focus between -6.2 and +4 diopter for those with eyesight problems. The 101-degree field of view ensures an immersive feeling. The Noon VR headset app puts these goggles in their own category. They’re the only serious choice for those who want to stream PC screens to HD headsets. It’s also one of the few models on market with functioning tracking sensors to cut down on motion sickness. Some gamers might feel that it’s more geared to IMAX movies than playing 3D video games, but they’ll appreciate the streaming service support more than most users would. What’s your opinion about the Noon VR headset? Or maybe you have questions that need answering. We’re here for you, so don’t hesitate to leave comments in the section below. If you have already tried these goggles, share your experience with us. Your input will add value to this Noon VR headset review. What games can be played on the Noon – Pro Virtual Reality Headset? 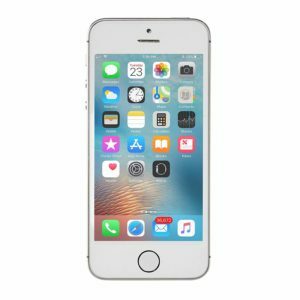 Can you use a iphone 8 plus with the Noon – Pro Virtual Reality Headset? The headset might be compatible with iphone 8 plus, but not totally optimized for it. The best way to find out is to contact the manufacturer. Thank you!